Frank Chapman Centre - Coopers Mill Cottage, Bewdley, sleeps 10-131 in bedrooms. 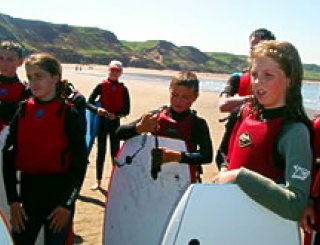 The Frank Chapman Centre is an outdoor education residential centre in Bewdley perfect for youth and school groups, large or small. 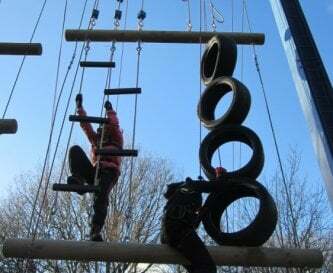 Outdoor activities are available on site, and catering packages can be arranged. The main centre sleeping 60 in four dormitories in bunk beds with six additional leader rooms, three with en suite facilities. The centre has a fully equipped kitchen, dining area and additional rooms for break-out time. 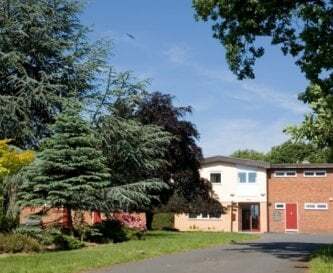 All residential accommodation is located on the first floor, along with a comfortable 'staff room' for group leaders. 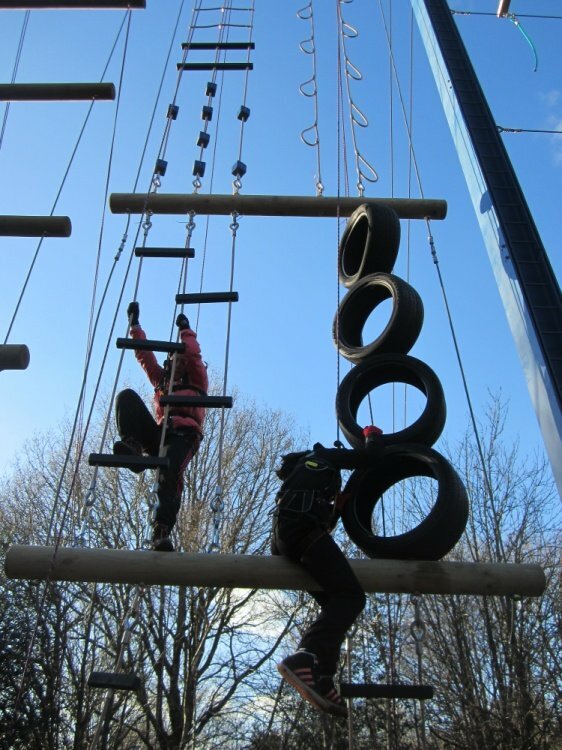 The centre can be hired for a fully inclusive residential weekend, or on a self-catering basis and activities can be provided at an additional cost. The centre is fully accessible. Within the grounds there is a 'glamping' area - the Orchard Village, sleeping 40 in ten wooden pods with fixed bunk beds and two additional pods with two single beds in each and electricity point. The pods are housed around a wooden open barn with seating for dining and a separate shower/toilet block with a wash-up area on the side. There is one accessible pod and the shower block has disabled facilities. You can also hire a fully equipped camp kitchen for an additional cost if required. Callow Cottage is also within this area - a self-contained cottage sleeping ten in three bedrooms in bunk beds with a comfortable lounge and kitchen - dining area. There is also amble space within the grounds for camping. Coopers Mill Cottage is a mill house located within a different location at Dowles Brook in the Wyre Forest, with space for campers within the grounds. Shower and toilet facilities are located on the ground floor for easy access for camping groups. There are basic sleeping facilities in bunkbeds and a single bedroom, ideal for a group leader. Groups are required to bring their own bedding and the mill house is perfect for smaller groups. All accommodation has fully equipped kitchens, with the exception of the glamping village, but facilities can be hired if required. All accommodation has dining room facilities for groups to dine together. There is a living room in Callow Cottage and a comfortable room in the main centre with TV and computer facilities. The main centre has TV and computer facilities, along with a screen for DVD's and playing music. Wi-Fi within the main centre and mobile phone coverage within the pods and cottage on site. Coopers Mill has no Wi-Fi or phone signal. Bedding is required at all locations. Can be hired at the main centre at £5pp, and linen will be provided for fully inclusive activity weekends. Separate male/female and disabled bathrooms with shower facilities at all locations. Disabled toilet and shower facilities at all location with the exception of Callow Cottage. None provided, but all sites are child-friendly. All sites are set within beautiful countryside locations. There is a public swimming pool at Wyre Forest Glades in Kidderminster (approx 5 miles away). Parking facilities are available at all sites. No smoking within any buildings, however, smoking areas are provided. Well behaved pets are welcome, by arrangement only, at all sites with the exception of the main centre. Frank Chapman Centre is located approximately five miles from Bewdley and Coopers Mill is located near Button Oak, Bewdley. Bewdley is an excellent market town which hosts outdoor markets, also has ample dining establishments and local to Kidderminster which has shopping. Bewdley - lots of choice. Please contact the Frank Chapman Centre for availability and prices for your group either by phone or sending an enquiry. Kidderminster Railway Station and Bewdley Severn Valley Railway for steam trains. Please contact the centre for hire prices for the main centre for residential visits and self-catering. The Orchard Village is £40 per pod per night for self-catering. Callow Cottage is £120 per night and Coopers Mill is £200 per night with a price reduction for additional nights.